Want To Drive Cyprus? The Only Guide You’ll Ever Need! Let me be straight here. Or at least I think I’m awful. So maybe the point is rather that I’m not an awful driver, but that I’m a nervous driver. Because quite frankly the thought of driving anywhere, especially in a foreign country, usually makes me feel extremely nervous! But something about Cyprus made me bite the bullet, be brave and opt to drive in a foreign country. And you know what, I discovered I’m not an awful driver. And now I’m not a nervous driver either. So here’s to challenging the fear barriers for me… and here’s to teaching you everything you need to know if you want to drive in Cyprus too – regardless of whether you’re nervous about it or not! My hire car in Cyprus was sponsored by Astra Car Rental but, as always, all views are my own. So the first thing to tackle is why you should drive in Cyprus. And honestly, the list in answer to this goes on and on. 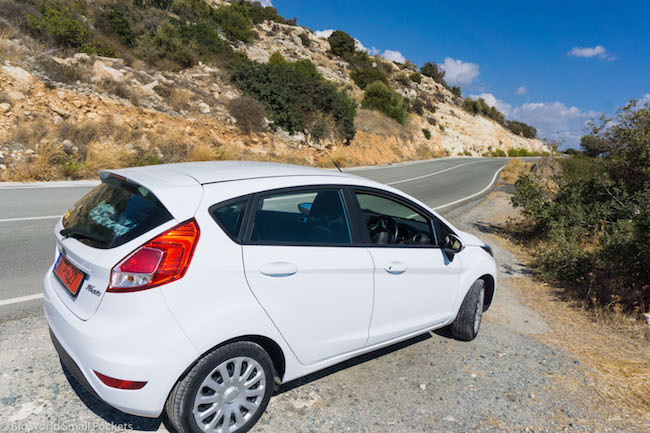 Because as well as the usual benefits that come with hiring a car when you’re abroad – independence, ability to explore more, ease of travel – there are several distinct benefits to hiring a car in Cyprus. First up, the island’s public transport system is quite limited, so if you do want to explore anything beyond, well anywhere, hiring a car is definitely a good idea! 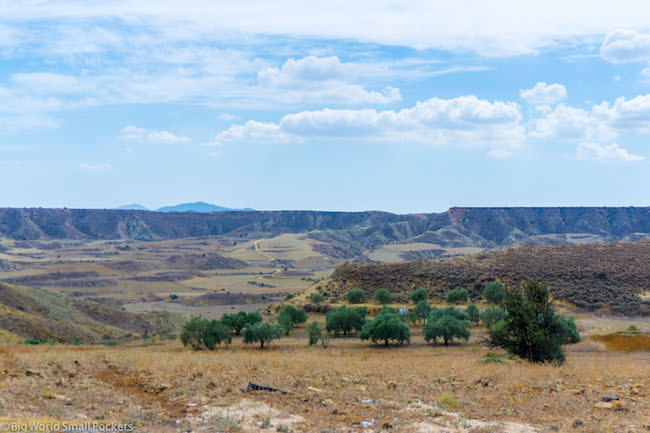 Secondly, Cyprus is quite small and safe and relaxed, so driving here definitely isn’t a stressful affair – meaning the benefits far outweigh the costs. And thirdly, Cyprus has an amazing wealth of things to see and do. Yup this island is way more than just the beach resorts you were led to believe was all that existed here if you were a British child growing up in the 90’s like me! 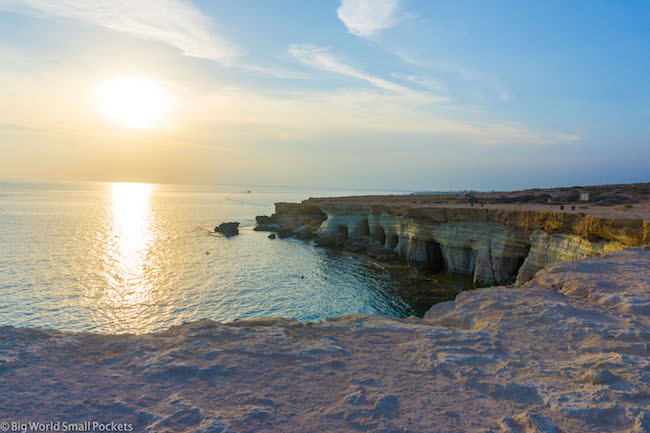 From ruins to national parks, hidden coves to mountain villages, there’s a whole world of Cyprus to explore out there and it’s all worth seeing. I honestly think Cyprus is one of the most diverse places I’ve travelled to, given its size, and hiring a car on the island really is the only way to discover this. 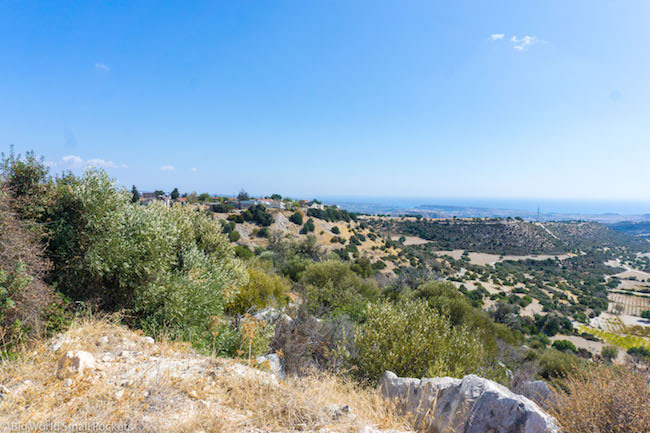 Driving Cyprus will allow you to easily and quickly get away from the cities and coastline, giving you the freedom and independence to discover traditional villages and mountain views you’d simply never be able to access otherwise. The other great thing about hiring a car to drive Cyprus is that it’s incredibly well organised and easy. Given the fact that it’s an island, you’re more than likely going to be flying into one of the 2 international airports here. And both Paphos and Larnaca airports have many car rental companies stationed right in the arrivals hall, which makes things as easy as can be. All you need to present is your international driving license, payment and a credit card use for a pre-authorisation fuel charge and after that, you’re way. Often you can just arrive and arrange a car hire direct at the airport, or you can book online in advance to ensure that your car is waiting for you. Researching online in advance also allows you to compare different companies and the packages they offer – in particular, you want to look for insurance coverage, excess, additional driver fees and any perks such as fuel allowances or additional features like car seats etc. 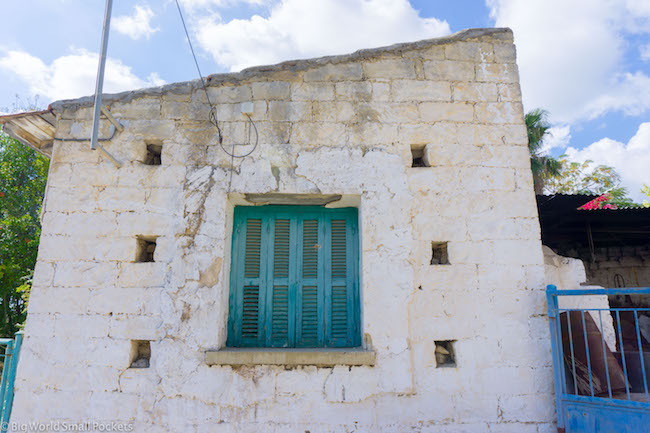 #1 Good Camera – You will be pretty much snapping non-stop during your time in Cyprus and will need a good camera to do this gorgeous island justice. I highly recommend the Sony A6000, which I use for all my travels and love, not least because it’s light, compact and robust! #2 Good Walking Shoes – There will be a lot of walking in Cyprus, it’s as simple as that! Make sure your feet are comfortable therefore with a pair of New Balance Trainers. I love mine! #4 Good Water Bottle – All that sightseeing and beach activity can be thirsty work, so make sure you have a metal water bottle that you can refill as you go, because Cyprus tap water is generally safe, drinkable… and free! #6 Travel Insurance – And finally, at number 6, I wouldn’t go anywhere in the world without proper coverage and always recommend travel insurance from World Nomads as the best option when travelling in Cyprus and beyond. Well I did do my research online before I decided to drive in Cyprus and there’s one company that stood out to me as the best choice. And that company was Astra Car Rental. Boasting some incredibly competitive prices, free additional drivers, unlimited km and with a long established business model, they seemed like the top option. And they also had an office right in the arrival hall of Larnaca airport to boot – marvellous! Emailing them to arrange the hire was smooth and straightforward and the whole process was incredibly easy. This also rang true of the service I received in person at the airport. Staff at the desk here were extremely friendly, professional and well-informed. The rental paperwork was clearly laid-out and everything explained well in perfect English. 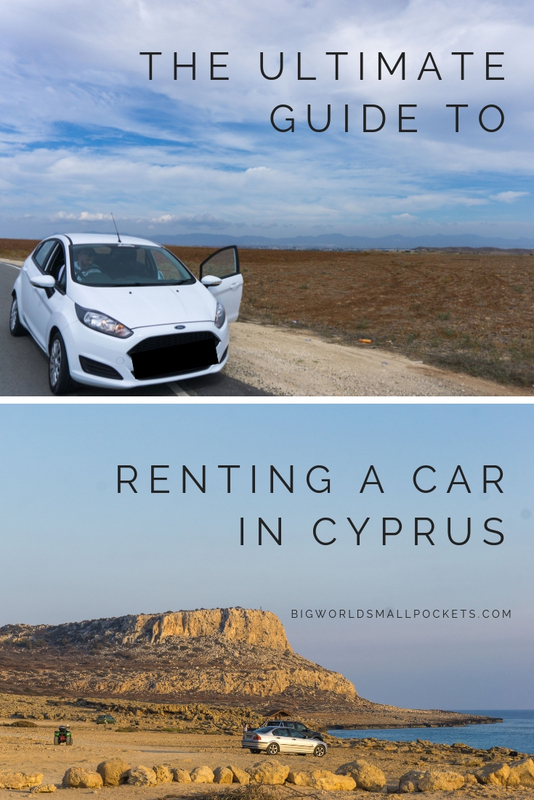 Finding the car was also a breeze in the rental car park and our great Ford vehicle was exactly what we needed to enjoy 5 days road tripping in Cyprus. 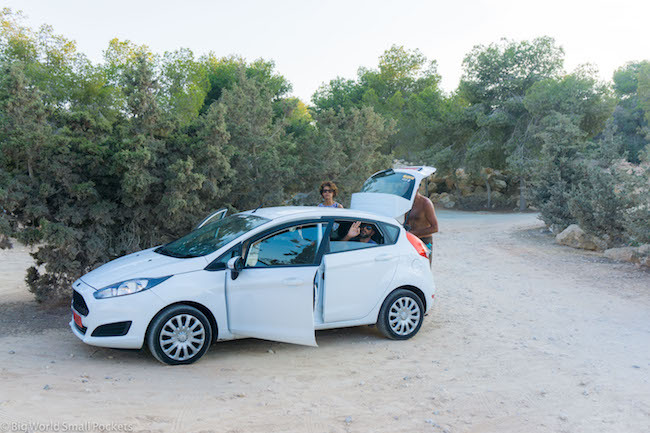 With this experience, I’d definitely recommend Astra Car Rental as the best hire car company in Cyprus and will certainly be using them again when I return. Learn more about Astra Rental’s great rates at their website here. Or reach out to them via their Facebook and Instagram pages if you have any questions. And now we come to the things you need to know if you want to drive Cyprus too. Hoorah if you’re British or Australian. Boo if you’re from just about anywhere else in the world. Unless you’re British that is. Then your British license will suffice. The larger the more expensive. Go for the smallest model possible to keep prices down, but don’t forget to factor in any luggage you might have to store in the vehicle. You can also generally choose either manual or automatic vehicles. Maybe it’s because I’d just flown in from Lebanon, but I found the Cypriots generally drove very well – none of that scary, lane-weaving, horn-honking reckless stuff we stereotypically think of when drivers in the Med countries come to mind! Speed limits are quite slow in Cyprus – 100kmph on motorways, 30 kmph in most town centres. There are also many speed cameras around. I was incredibly impressed by how well-organised the road system was in Cyprus with everything well signed. The roads themselves were also very well-maintained and I felt very safe and comfortable the whole time driving here. I think I was amazed by how easy driving in Cyprus was and how understanding local people seemed to be. Most probably this is because they are used to many tourists driving here each year and are all a little more forgiving of those people who have the tell-tale red license plates and confused expressions on their faces! Whilst you can pay less for minimal insurance cover when hiring a vehicle overseas, I always think it’s good value for money to pay a little more for a little piece of mind. As such, I chose to increase the insurance premium to 10 euros a day for complete coverage with Astra Car Rental, including zero excess. That meant that if anything did happen to the vehicle, I’d be fully insured and not have to pay a penny. My unequivocal answer to this question is yes, you definitely should drive Cyprus. Not only is it the best way to see the dazzling diversity of this county, but it’s also the best way to get off the beaten track a bit – in particular, away from the cities and coast and into the small villages and more rural areas. 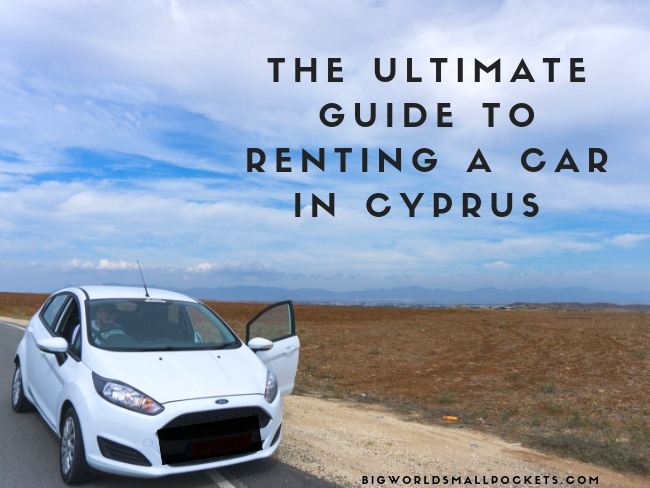 Driving Cyprus is also very easy and safe – even for scaredy cats like me – and I wouldn’t hesitate to rent a vehicle from Astra Car Rental again. Professional, friendly and well-organised, they made the whole thing a breeze and, dare I say it, even enjoyable! So there you have it, my top guide for those who want to drive Cyprus. Have you rented a car in this gorgeous island?